Johannesburg - Now in its 15th year, Moshito Music Conference enters a brave new phase of expansion. South Africa’s premier music market that has become an annual destination event for music practitioners around the world will kick off on 5 September 2018. Attracting over 16 music markets from around the world, Moshito 2018 steps into gear with a per-invite-only opening concert at Newtown Music Factory. In the morning after the night before two days of conferencing from the 6th to the 7th of September will see the grandest gathering of delegates from as far afield as China, Brazil, Zanzibar, Uganda, America, France, Germany, Ghana, Senegal, Nigeria, Mauritius, Mozambique, Seychelles, and from across the country, just to mention a few. The Board of Moshito resolved to join the nation in observing the centenary of the late Nelson Mandela by choosing a theme “Long Walk to Music: Be The Legacy” as a reminder of the role music played in keeping the story of this great icon alive through those artistic voices who crafted a narrative full of trials and tribulations of a nation that refused to die. The theme also challenges those with a talent to use this period and paint vivid pictures through word and sound and to forever be mindful of how such expressions can change people’s lives if they are channeled positively. 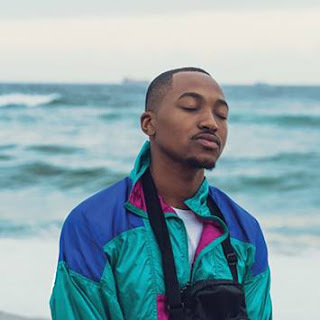 In aligning with the theme, Moshito has recognised one of South Africa’s living legends, Julian Bahula, by appointing him as this year’s face and ambassador. During his exiled days in England, Bahula worked in with the Anti-Apartheid Movement and was instrumental in organising a concert to mark the 65th birthday of Nelson Mandela which also helped raise the international profile of those languishing in apartheid prisons. Bahula is a recipient of the Order of Ikhamanga for his contributions to the arts. As is the culture of Moshito to always recognize young artists, the Board also appointed one of the mostly travelled cultural export, artist and performer this country has seen in the last few years, Moonchild, as the second ambassador. Moshito won’t be enough without a jammed packed entertainment and showcase programme; a very important platform for festival promoters and bookers from all over the world. Delegates and the public will be treated to two (2) concerts and one (1) festival, Afro World Night Concert on 6th September at the Market Theatre, the MTV Base Showcase youth concert on the 7th and Moshito’s signature free street festival at Newtown Junction Mall the 8th of September. Over the years Moshito has received local and international delegates from across the music value chain and this year will be no different as Moshito also announces new cooperation agreements recently signed with Musica Mundo (Brazil), Sauti Za Buza (Zanzibar), Azgo Festival (Mozambique), and soon to be signed agreements with Visa for Music (Morocco), National Arts Council (Seychelles). Moshito will soon be announcing the sharing of marketing collateral with the leading world music conference, WOMEX, as well as its continued long-term partnership with IOMMA in Reunion Island. 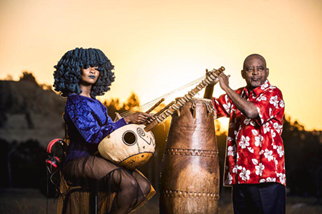 Over 270 international delegates and artists have attended Moshito in the last three years comprising music practitioners, musicians, bands, festival promoters, print and broadcast journalists, bloggers and the International Music Managers Forum. The Department of Arts and Culture represented by Charles Mabaso expressed its full support. Mabaso said Moshito was a flagship property in the department and he commended the board and staff of Moshito for their concerted effort to ensure that this music market does not only resonate within South Africa but finds it expression and recognition to other international markets doing similar work. “With the good work that Moshito has done over the last 15 years as a department we continue to support it,” he said. For the 2 days conferencing package at Computicket- R200. Full package to attend all Moshito 2018 events at Computicket- R550. MTV Base Showcase Night @Moshito is R50 at the door.